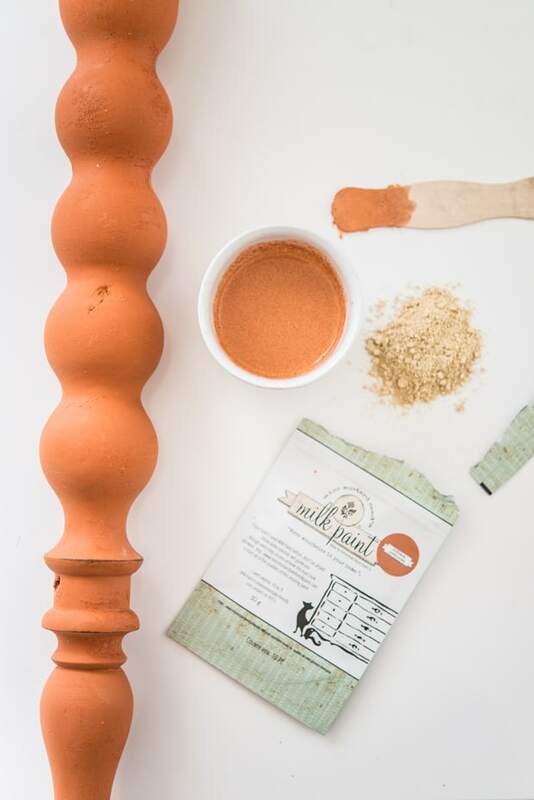 As our color stories behind the Miss Mustard Seed’s Milk Paint colors continue, it’s time to visit the warmer colors in the line. Let’s start with the reds. 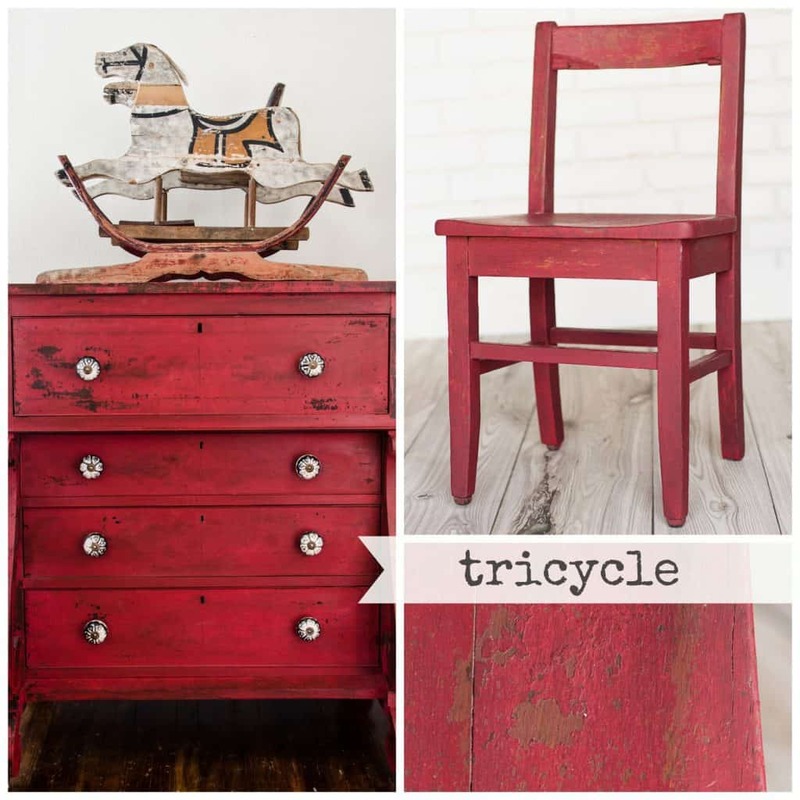 Tricycle is the perfect red. It’s bold and bright but still has a warm, classic look to it. 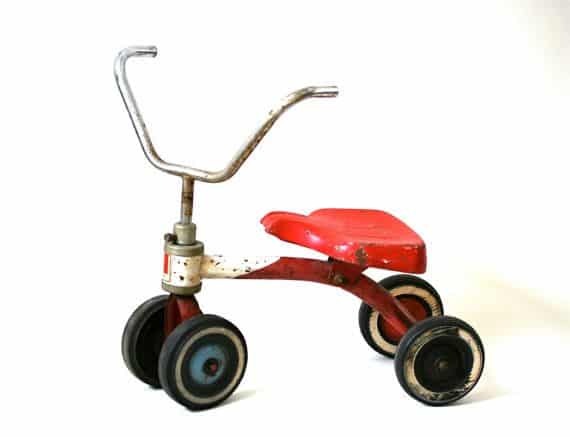 When Marian was naming the red in her line, Tricycle immediately came to mind. 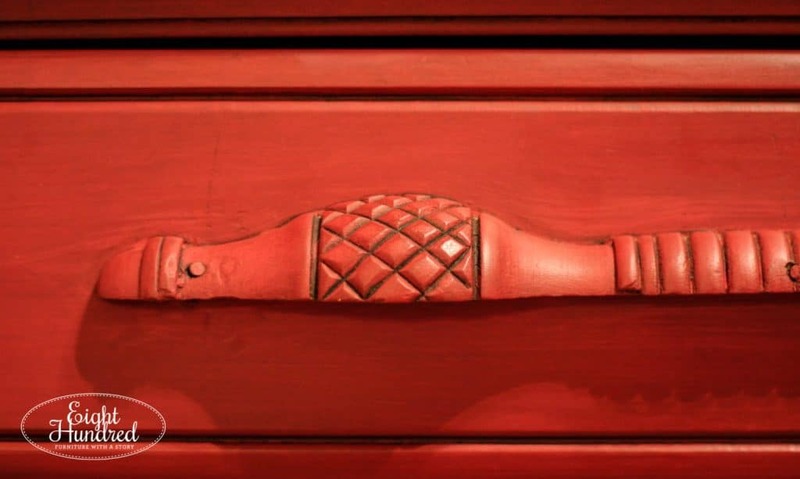 It looks like the red color on a vintage tricycle! Tricycle is so gorgeous when its all mixed too. 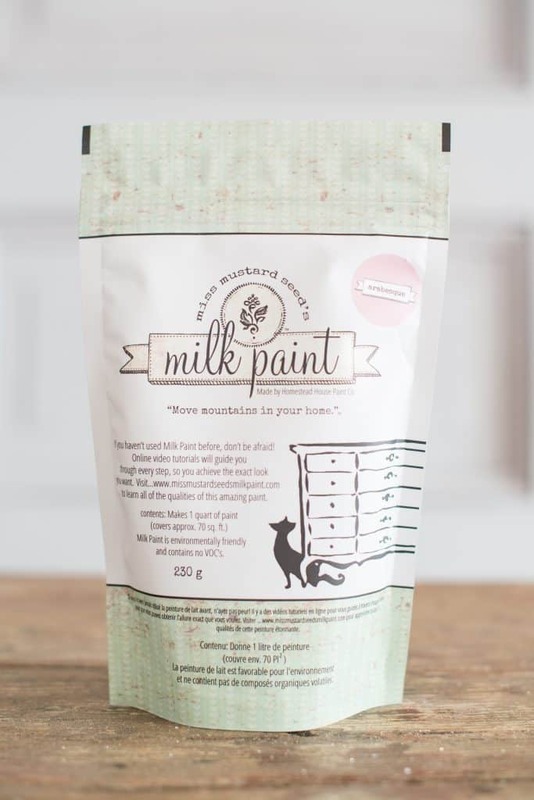 You can mix it with Ironstone or Farmhouse White to get different shades of pink, or mix it with Curio to make a deeper barn red. Tricycle looks amazing when topped with Antiquing Wax. 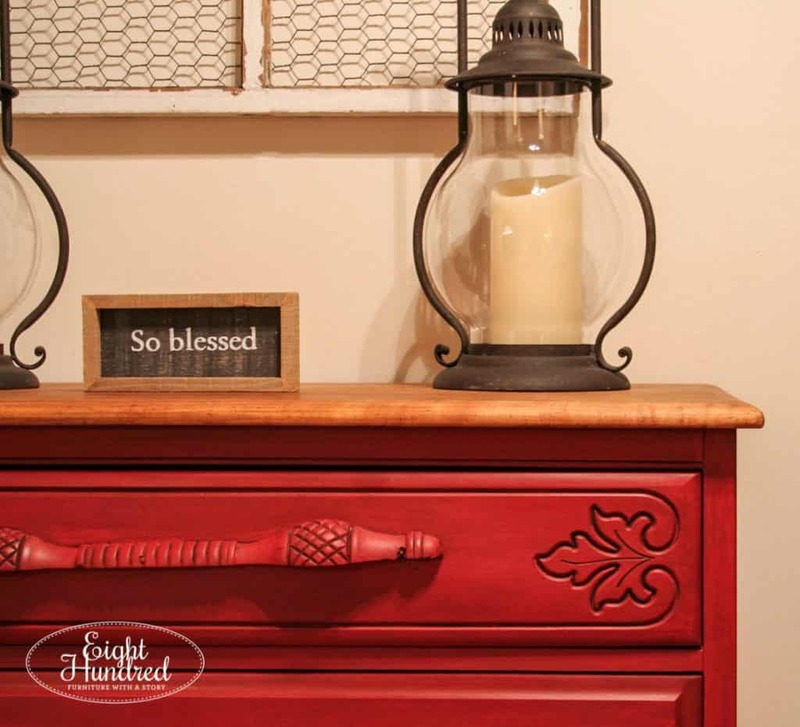 I painted this dresser with Tricycle and topped it with Antiquing Wax. It remains one of my absolute favorite pieces I’ve painted. 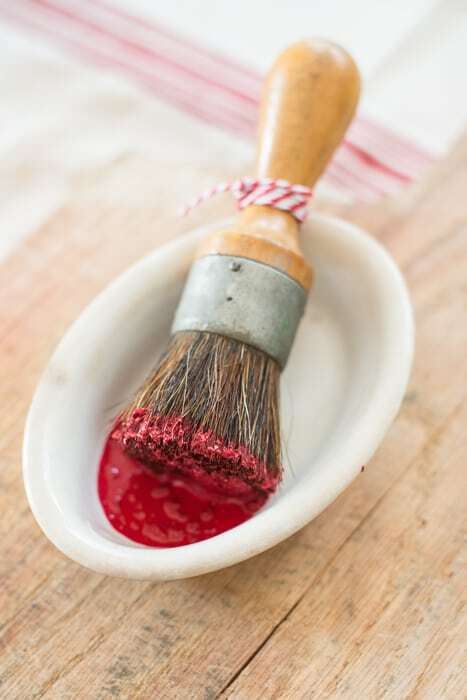 There was a sweet coral in the Milk Paint line called Apron Strings but it has since retired. 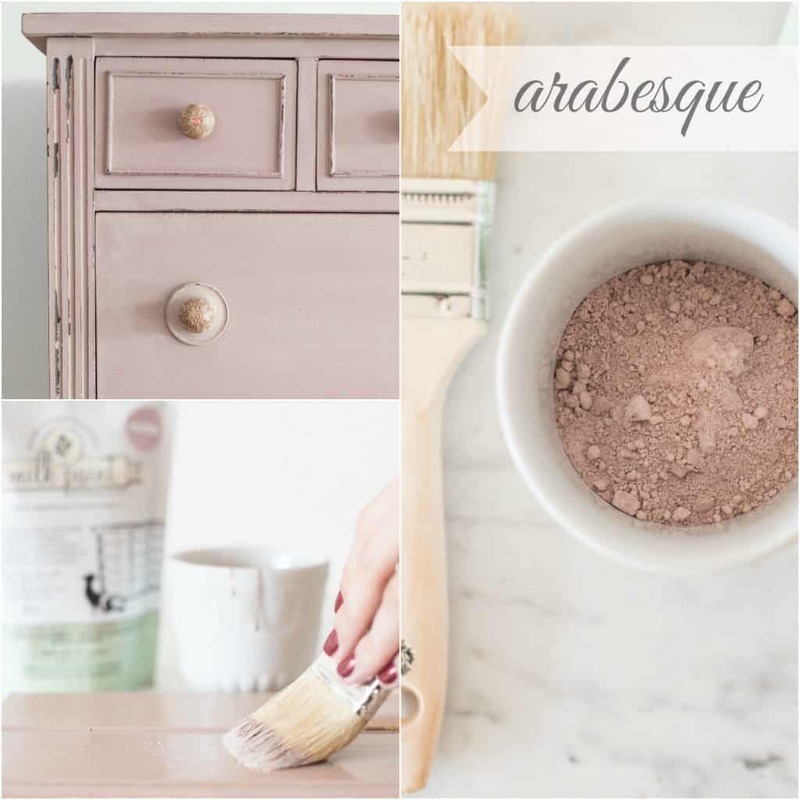 Now there’s sweet Arabesque, which is a muted pink shade. Much like the ballet position, Arabesque is soft and feminine. It can be deepened by adding rich Curio or lightened by adding Farmhouse White or Ironstone. The only yellow in the line is Mustard Seed Yellow, and I’m quite all right with that. This is one of my favorite colors to use. 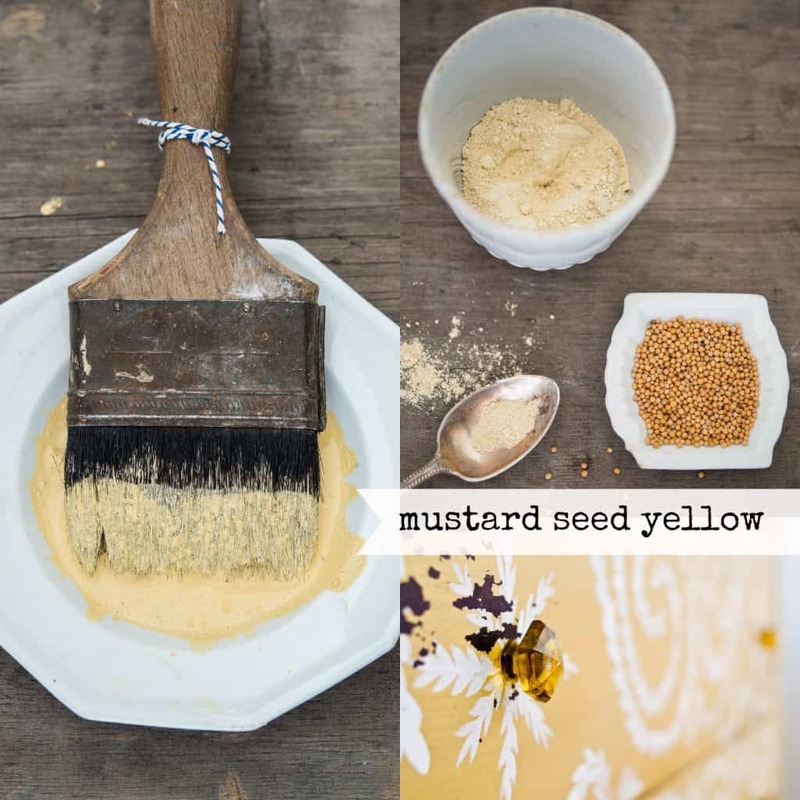 Mustard Seed Yellow is Marian’s namesake shade (after all, she’s called Miss Mustard Seed) and it’s a perfect buttery shade of yellow. 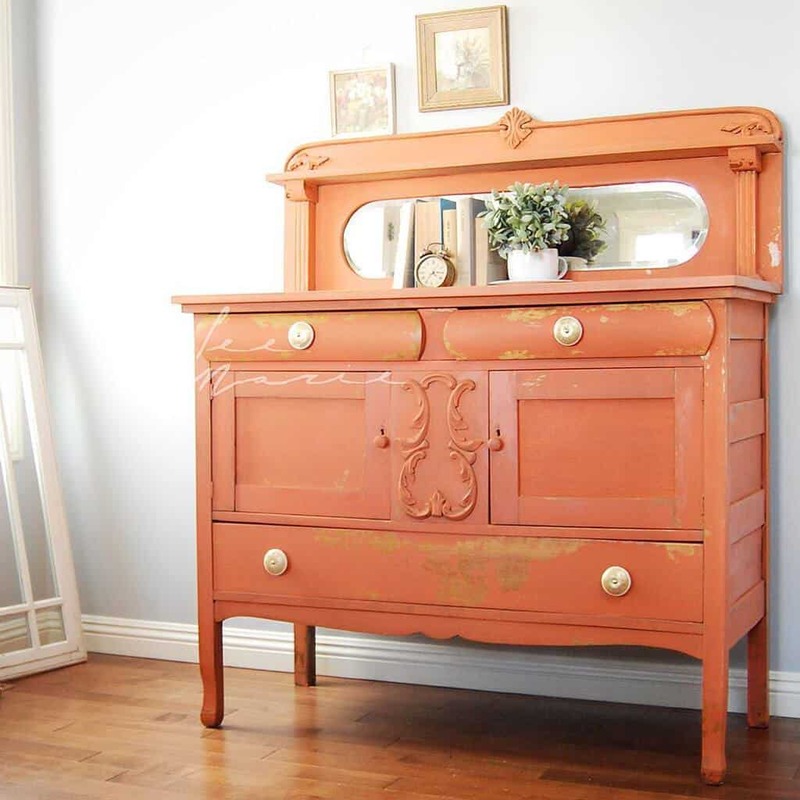 I have painted several pieces in this shade including this sweet dresser that is currently for sale at Rooted if you’re interested. 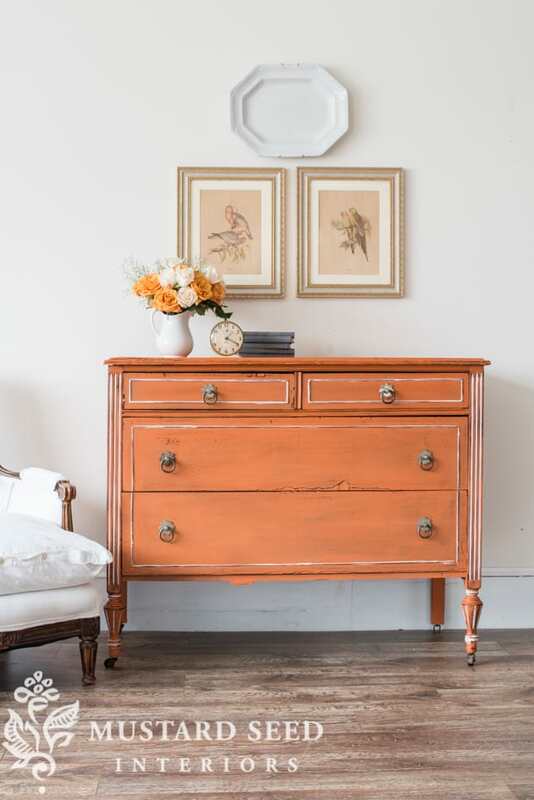 The newest addition to the MMS Milk Paint family is a rusty orange color called Outback Petticoat. It gets its name from the dark orange soil of the Australian Outback. Women who were early settlers would stain the hems of their petticoats orange from the soil, hence the name. It’s a nod to Australia’s wild heritage. While orange may seem a bit bold, it tones down when you pair it with blues and neutrals. 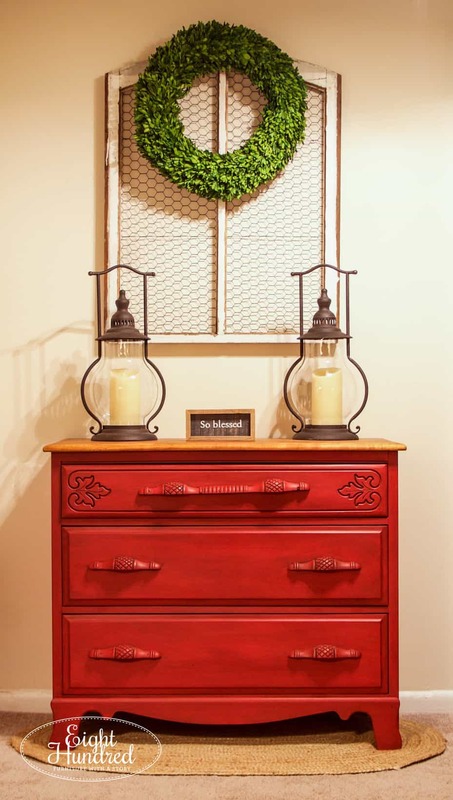 Here is a dresser that Marian painted when she debuted the new color on her website. It doesn’t seem so intense now, does it? 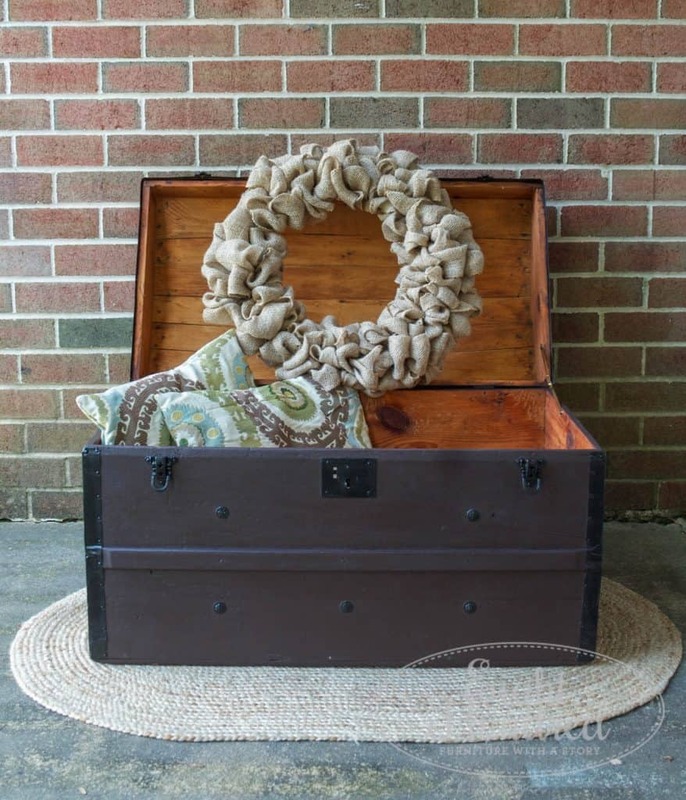 I absolutely fell in love with this piece byLee.Marie Antiqued Furniture. See how well Outback Petticoat works well with the soft blue wall behind it? 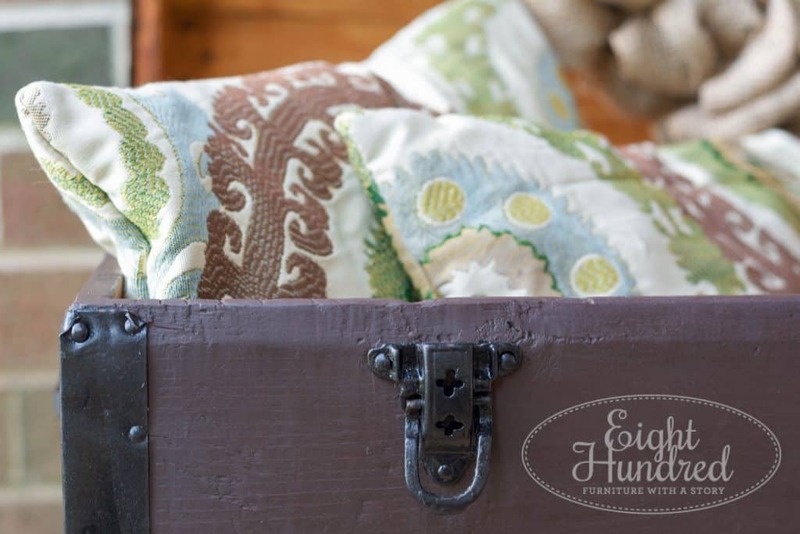 I’ve mentioned the color Curio a few times and I thought I would add it in with these color pairings. Curio is an anchor color in my opinion. It’s a rich warm brown that can be used as a stain on raw wood or it can be used to darken any of the colors in the MMSMP family. Curio got its name from the brown color often found on old curio cabinets. 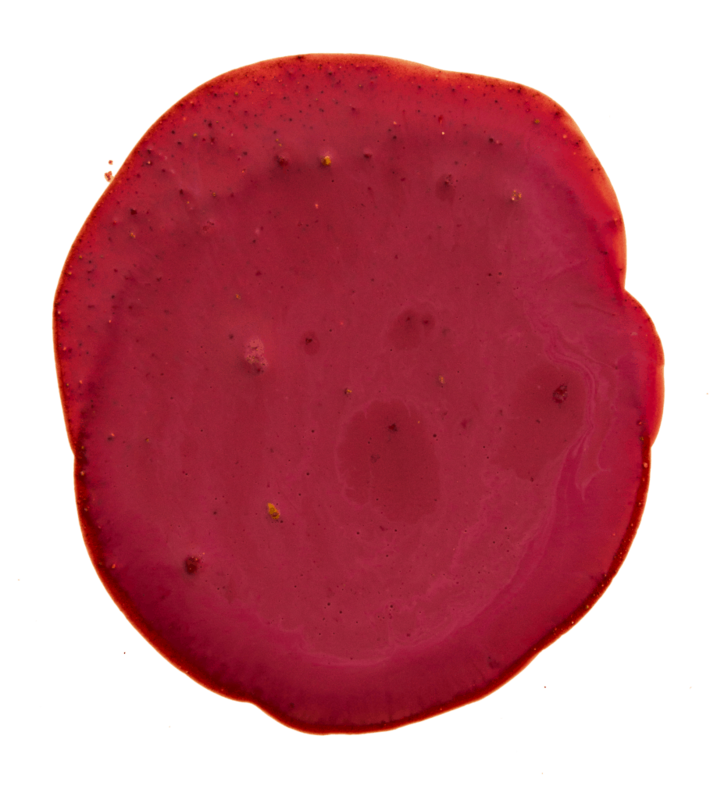 To use as a stain, water down your Curio with about 2 parts water to 1 part paint. Brush it on, and wipe it back. 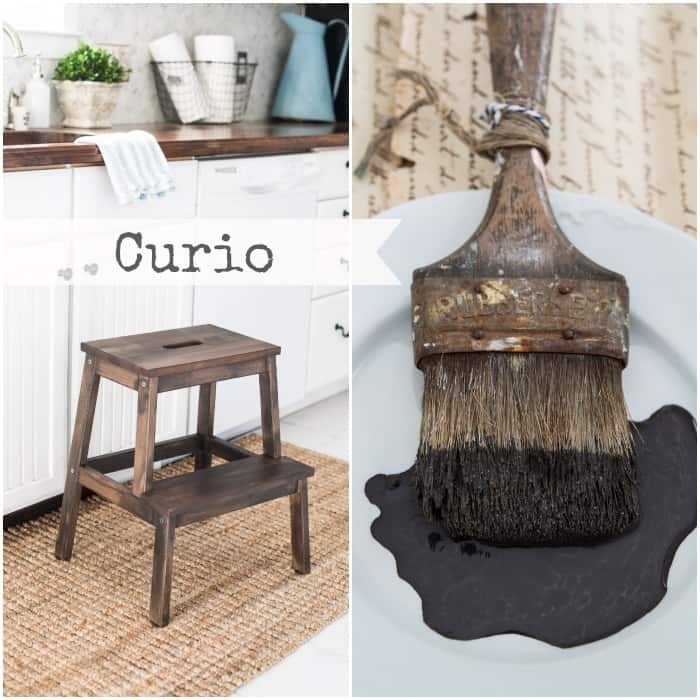 In the photo above, Marian used Curio to stain a raw wood stool in her kitchen. Curio really shines when you apply Hemp Oil over top. It’s also pretty to use as a color. 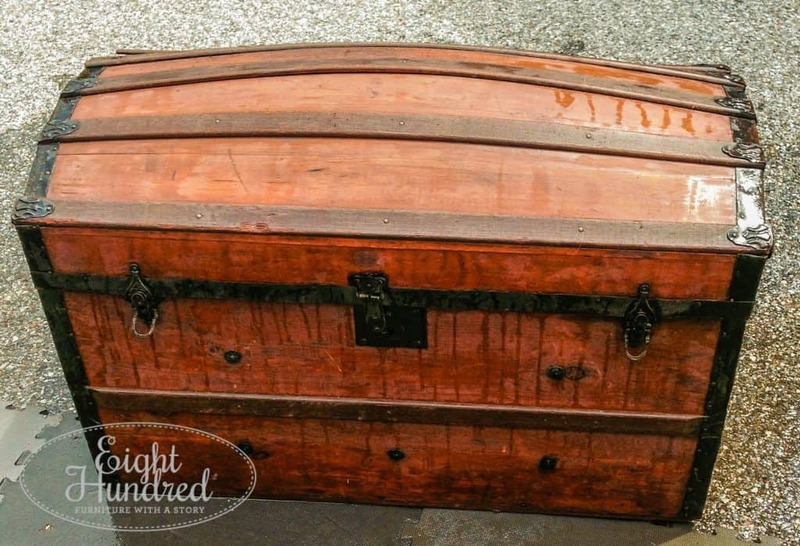 I used Curio on this trunk to dull it down and make it less orange. Didn’t it turn out so sweet? Curio reminds me of a chocolate bar. 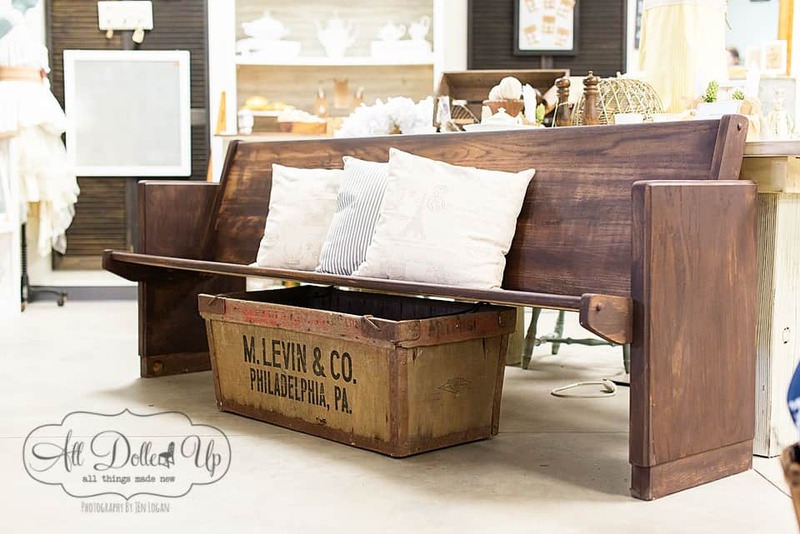 Here is a church pew that Abbe Doll of All Dolled Up stained using Curio. 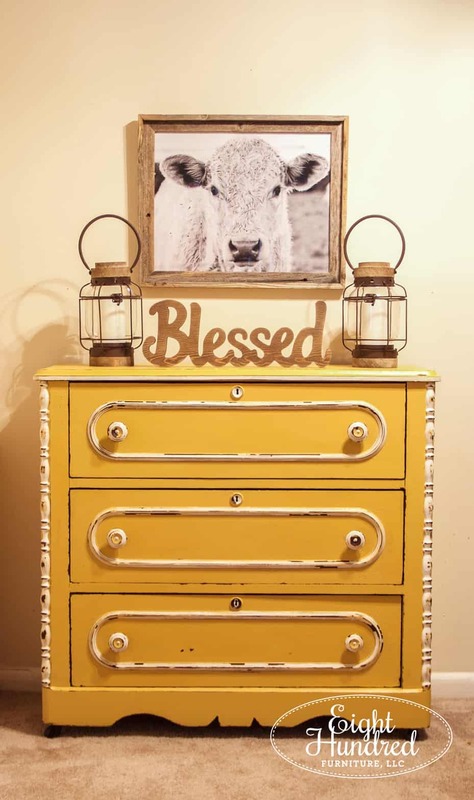 You can shop for any of these warm colors at one of over 250 Miss Mustard Seed’s Milk Paint retail locations. Find the closest one to you by clicking here or come visit my space downstairs at Morgantown Market!